Beats a voucher back,and seems to work on different accounts. No idea if supposed to be live now... but it is! Should be able to get some bargains out of this as loads of Black Friday prices still there -£5 with this. Win! Sony PlayStation 4 Platinum Wireless Headset 94.99 using code. I'm logging off until the new year. Paid £330 for a Switch Saturday, was £299 this morning. £69 for a Echo on Friday, now £64.99. was that your own voucher code you are giving away or can we all use it?? Seems to be multiple use. 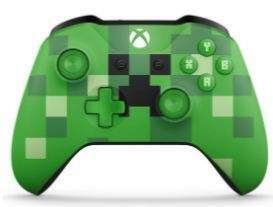 Used it to get a fire HD for £45 and still let me apply it to something else. Bargain. Thanks. Bought a fire hd8 for my son. 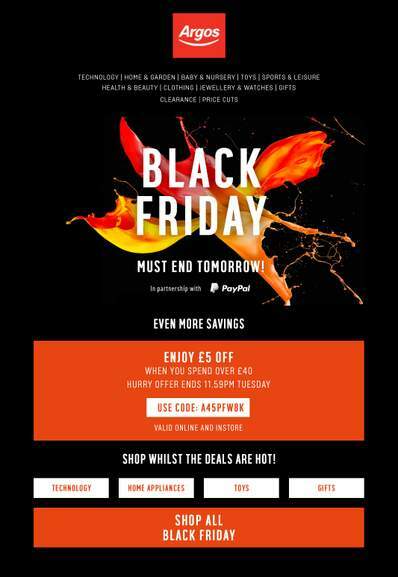 With topcashback will bring it down to a smidge over £40. Crazy price for a good bit of kit. Going in store later, will try my luck there. Just got an email from topcashback. 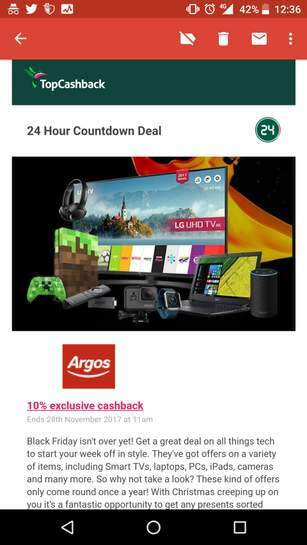 They are doing 10% exclusive cashback for Argos. Worth a shot if you're buying anyway. OP, add to your post of possible, before the thread descends into chaos. Brilliant. Deluxe version of PS4 Sims 4 for under £40.00! Thanks. Thanks OP, got the HD8 for £34.99 plus a possible 10% TCB.Had a £10 gift voucher that expires tomorrow that I almost forgot about, did not realise you can use them online. Anyone know if they will apply the discount for click and collect when I head in store? Otherwise I will ask for a refund right there, go on my phone and reorder with this code while in queue! Great find. Saved £5 on Lego dimensions for the boy, which was already £7 cheaper than amazon. Thanks for this. Where do I enter the code when selecting click and collect? Thanks for this. Where do I enter the code when selecting click and …Thanks for this. Where do I enter the code when selecting click and collect? Thanks. With the cashback it works out at £65.25. BARGAIN!! Anyone know if you can get the adverts removed from the fire hd tablets bought from argos? Doesn't the cashback fail if you use a voucher? what is c & c please ? If I reserved something on click & collect could I use this voucher to get £5 off when I get to the till? Bought a fire hd8 for my son. With topcashback will bring it down to a …Bought a fire hd8 for my son. With topcashback will bring it down to a smidge over £40. Crazy price for a good bit of kit. Anyone know if you can get the adverts removed from the fire hd tablets …Anyone know if you can get the adverts removed from the fire hd tablets bought from argos? I read on a previous post here someone had issues getting them removed for free from Argos. Not sure why because I thought it was Amazon account related but I recently purchased one from Amazon and gave them a quick call to mention there wasn’t a tablet available ‘without special offers and they removed them for free no question & instantly. 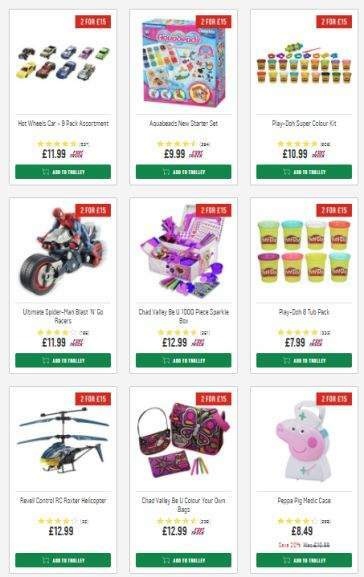 If I reserved something on click & collect could I use this voucher to get …If I reserved something on click & collect could I use this voucher to get £5 off when I get to the till? Anyone know if they will apply the discount for click and collect when I …Anyone know if they will apply the discount for click and collect when I head in store?Otherwise I will ask for a refund right there, go on my phone and reorder with this code while in queue! Not sure, but I literally reserved and paid for item using the app (code worked fine within app) then walked down to collect. Not sure, but I literally reserved and paid for item using the app (code …Not sure, but I literally reserved and paid for item using the app (code worked fine within app) then walked down to collect. Oh sorry I think I was a bit vague. I've already ordered 2 items with click and collect, all paid for. Was wondering whether they would refund £5 when I collect if I bring up the offer.